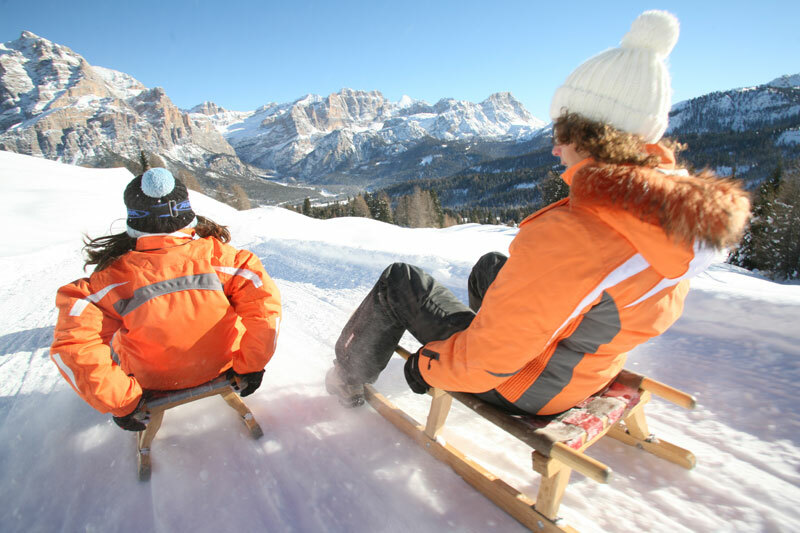 Skiing, snowboarding, tobogganing or a cosy trip on a traditional horse-drawn carriage - the fabulous landscape in Val Pusteria allows for countless winter activities. 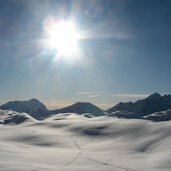 Snow-covered mountains and numerous skiing areas create a true paradise for winter fans. 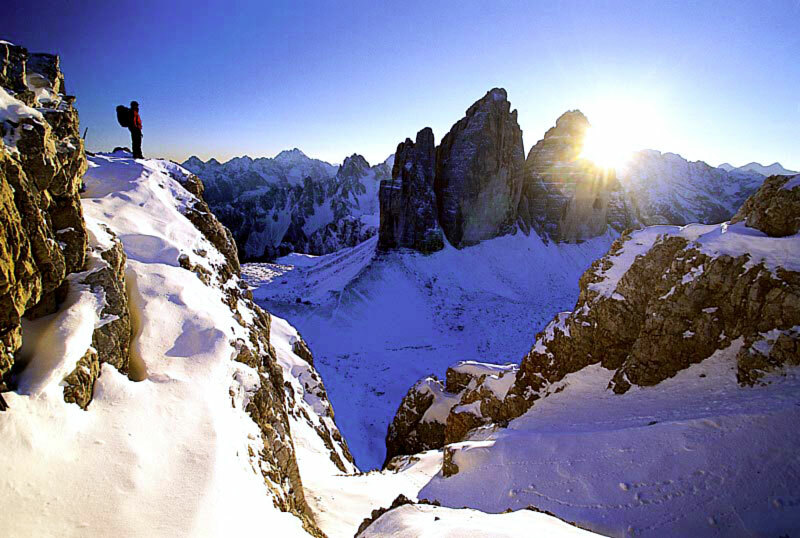 A wonderful winter day in the Dolomites. 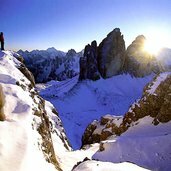 Sunset in the Dolomites - view from snow-capped Monte Paterno on Tre Cime di Lavaredo. 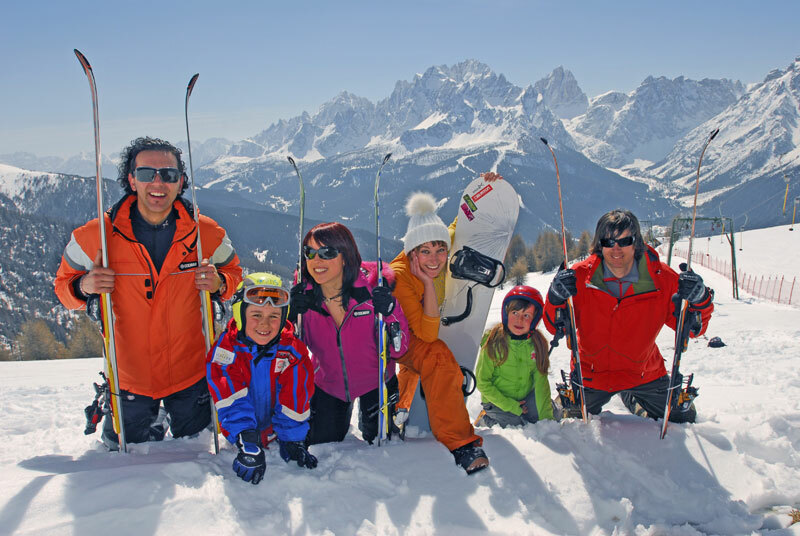 Family holidays in winter - numerous offers of the skiing areas are dedicated to kids. 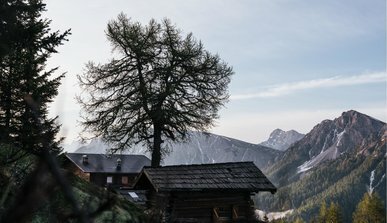 Alpe di Senes in San Vigilio di Marebbe, an impressive alpine pasture both in summer and winter. 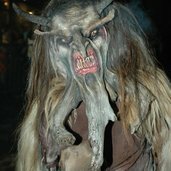 What about a pleasant sleigh ride? 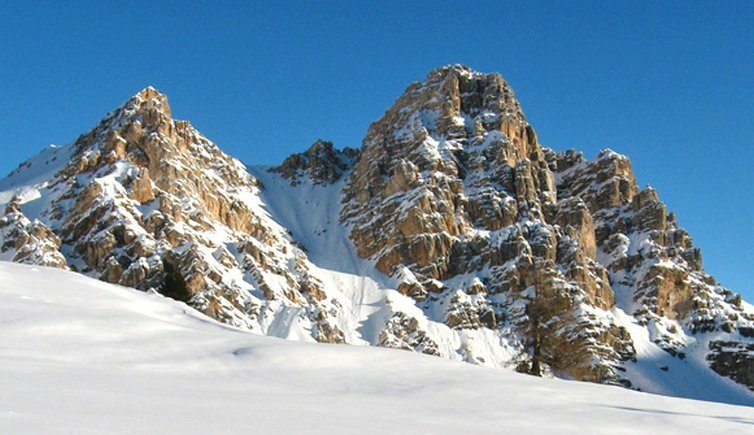 Monte Paterno in Sesto Dolomites. 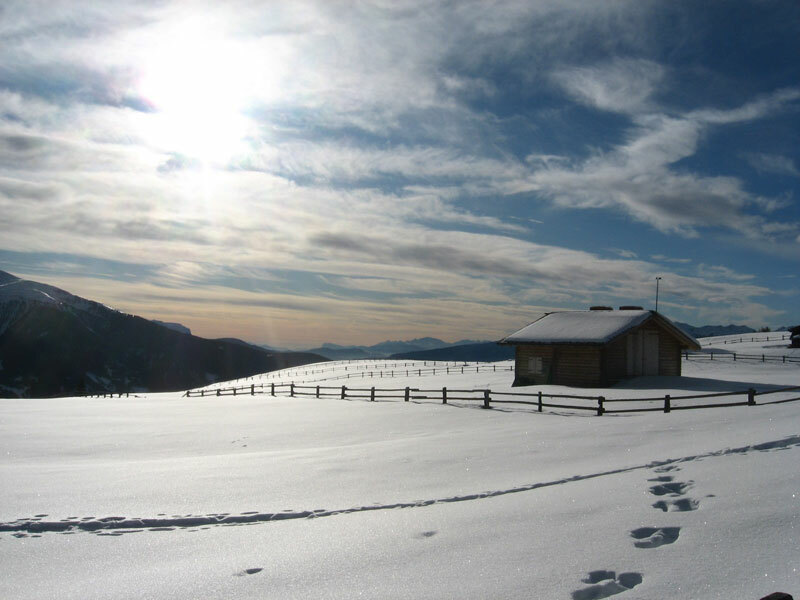 A winter tradition in Alta Val Pusteria. 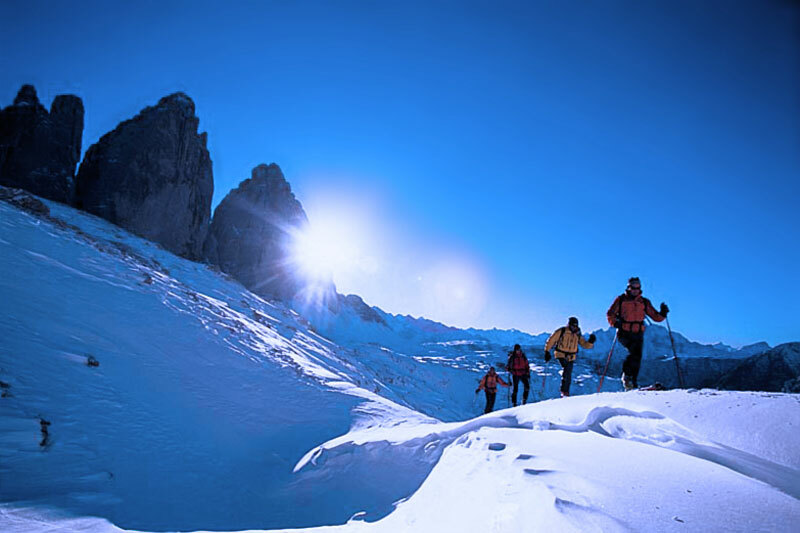 Winter in Val Pusteria offers various possibilities for outdoor activities. 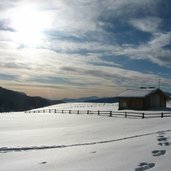 Winter on Alpe di Rodengo, a popular area for extended winter walks. 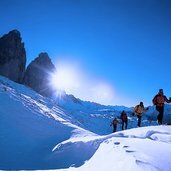 Outdoor activities in Alta Val Pusteria in a splendid scenery. 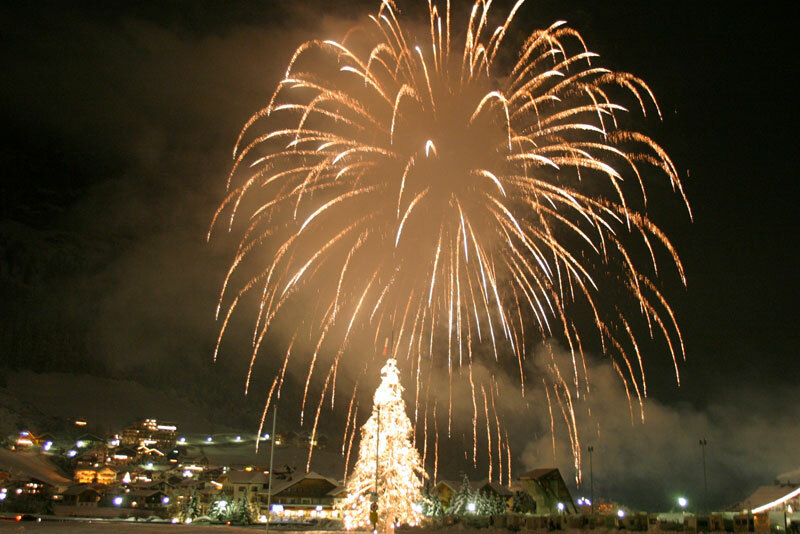 New Year’s Eve in Val Pusteria. 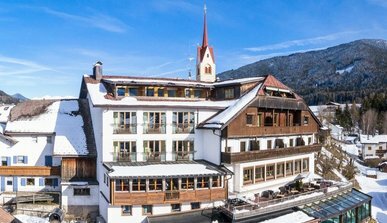 White glistening slopes, fast descents, lively skiing, well-equipped ski rental shops and a professional ski school: This ist your Winter Dream Holiday! 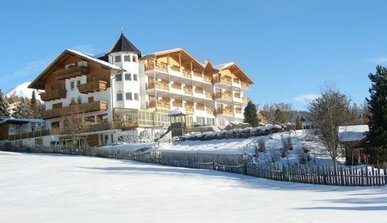 From the hotel you can reach al slopes of the Ski and holiday area Gitschberg Jochtal. So leave your car behind and ski to the cabin lift! 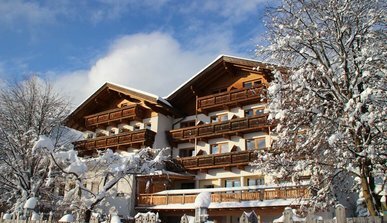 Are you looking for a winter landscape of wonderful snow, amazing slopes and exciting downhill runs? 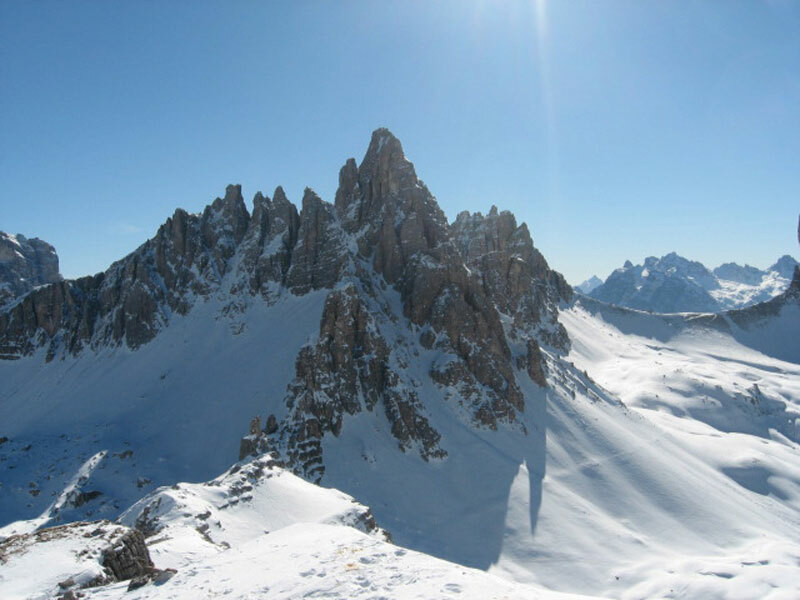 The ski resort Kronplatz and Dolomiti di Sesto is the perfect place to enjoy your holidays! 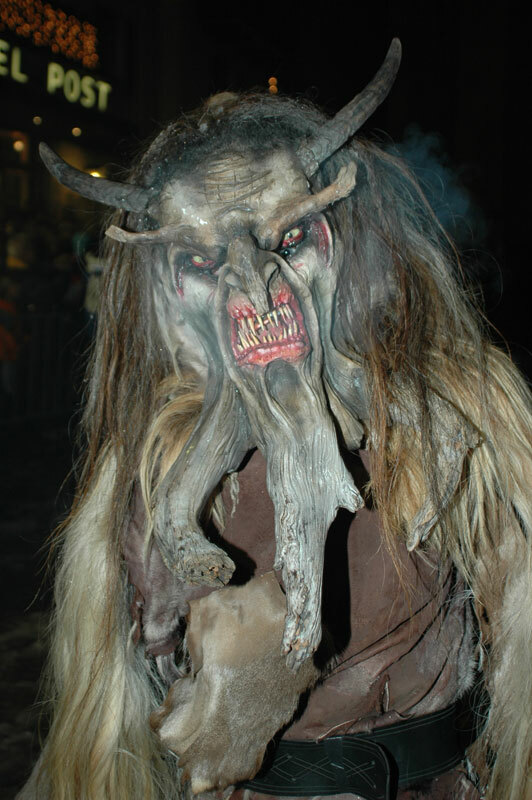 Get out of the chalet, get on your skis and get carving! 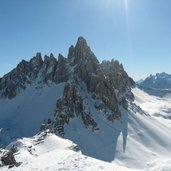 Our huts in are situated directly at the piste on Plan de Corones. 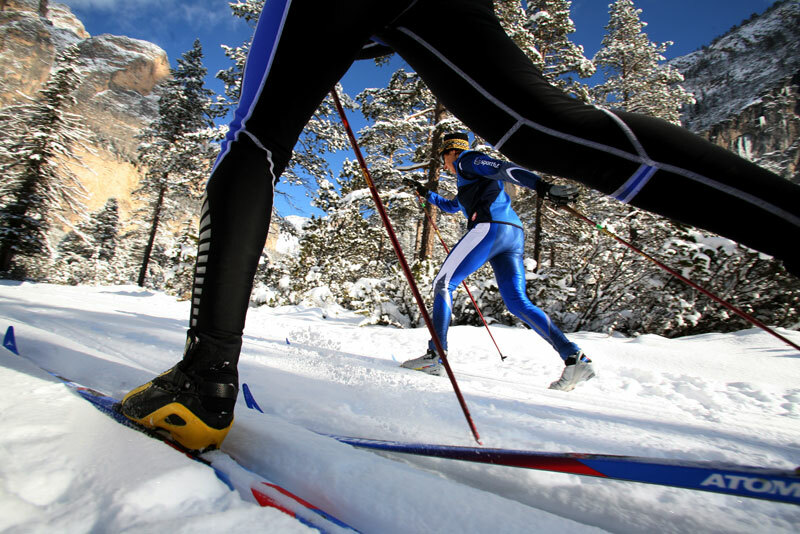 Here you can enjoy the ultimate twists and turns on skis and exquisite winter magic. The meadows and treetops put on a glittering white cover and are transformed into a fairy tale scenery. Enjoy the fresh air, take extended walks or pursue your favourite sport in front of this majestic scenery. 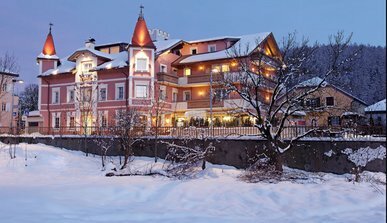 The Hotel is only a few steps away from the historical center. 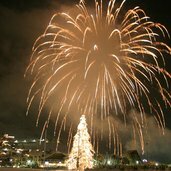 Bruneck is the ideal starting point for all enthusiasts of art and history. 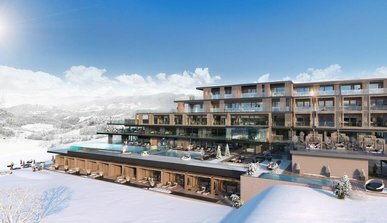 A paradise for sports fans, especially for winter athletes. 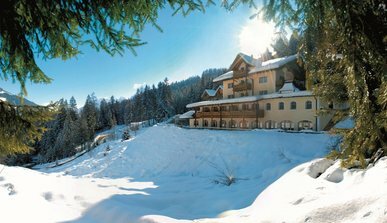 Winter in Valdaora/Olang means a magical time for the whole family. 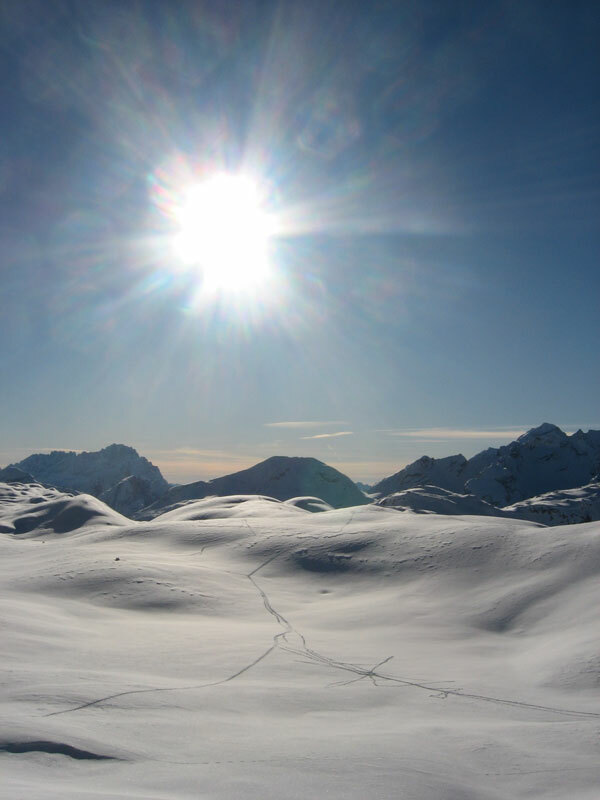 Skiers find sunny slopes from which to ski downhill for kilometers into the valley. 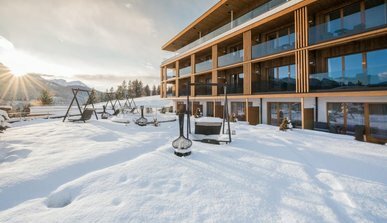 A winter break at the Plan de Corones offers you all the variety you can possibly wish for and a guarantee of special, unforgettable experiences! 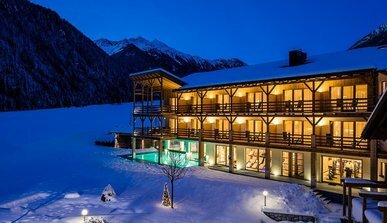 At this time of year Anras is deeply snowed in and very idyllic. 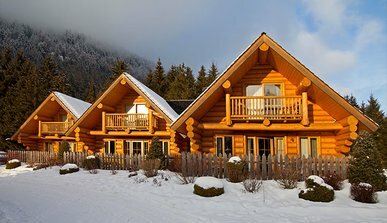 Simply unique and the perfect place for people who love to be at one with nature.